The temperature this week hasn’t cooperated with us. It seems like we are always a day behind the bite with our choice of locations this week. We like to that we are a day ahead though as the bites have alternated days regardless of weather… This morning, the weather said it was suppose to get into the high 50’s with little to no clouds or wind. In reality, it couldn’t have been further from the truth. On the water just before 8, the morning air was still cool. 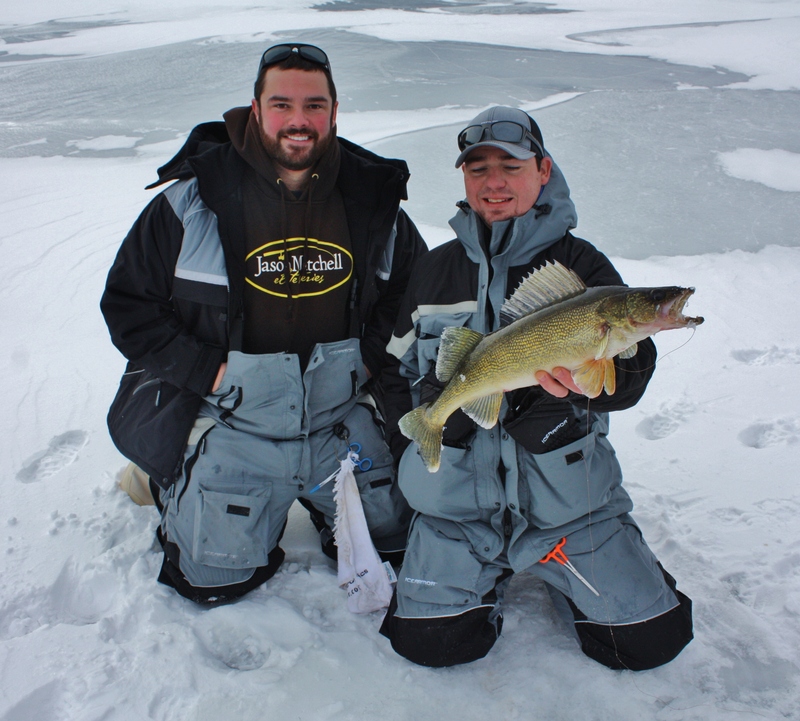 The water was just under 48 and only rose one degree all day where the fish were holding. 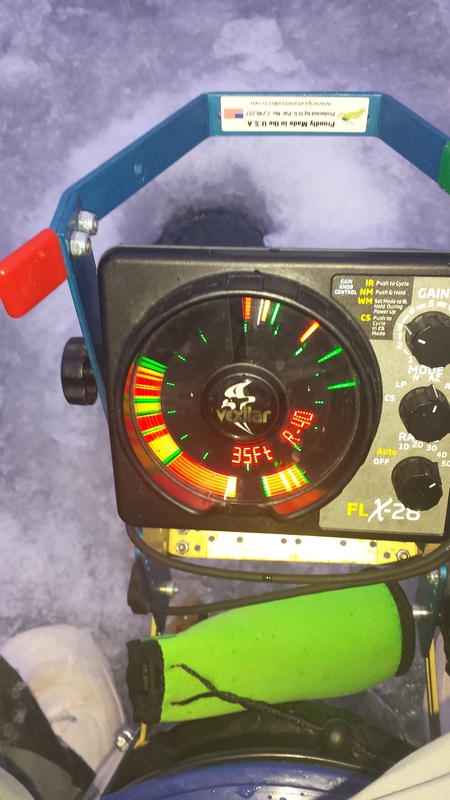 We made a long run trying to locate fish only to find 51 degree water void of fish. Still with the cold in the air, we ran back. On the way we took a break to warm up and watch an eagle sitting in a tree. The rest of the day we putted around and located fish occasionally with no consistency. All the fish that we did find were set up on a shallow island, covered in decaying weeds. We were working a Lake Fork Trophy Lure “Live” Baby Shad 2-3 feet under a bobber at a slow pace. We used pearl and fire perch with equal success. There isn’t much to say about this day. It seemed like all forward progress to the spawn this week was lost but it is only a matter of time until the water warms up enough for things to really start happening! 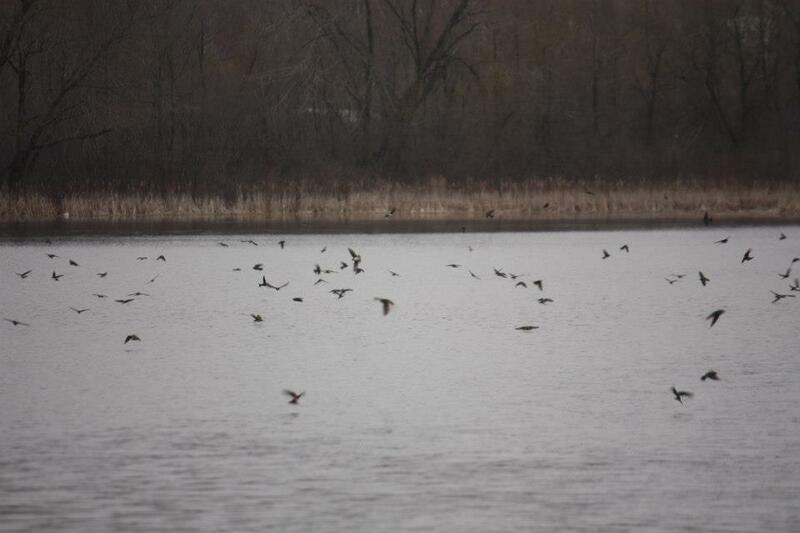 Check out the last picture to see the feeding frenzy! With temps in the low 20’s, we weren’t rushing out the door this morning. We knew the bite wouldn’t pick up until the water temperature did. We were guessing on the way down that the water would be between 47 and 48 because of the recent weather. Today, it was suppose to warm up but wearing our blue suits from Ice Armor was still a good idea. After launching the boat and letting the transducer adjust to the water temperature, our guess of 47-48 degrees was a little low. It was actually hovering at 46. For much of the morning, the fish were inactive. 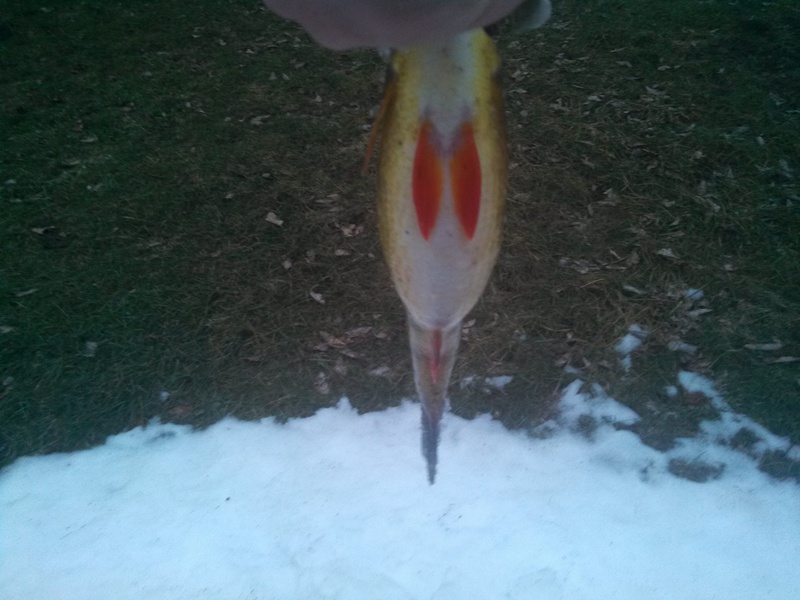 It took a while for us to catch a fish and even longer to stay put in one spot that held multiple. We did see that as the water warmed the fish became more active. At first, the bites were very light. 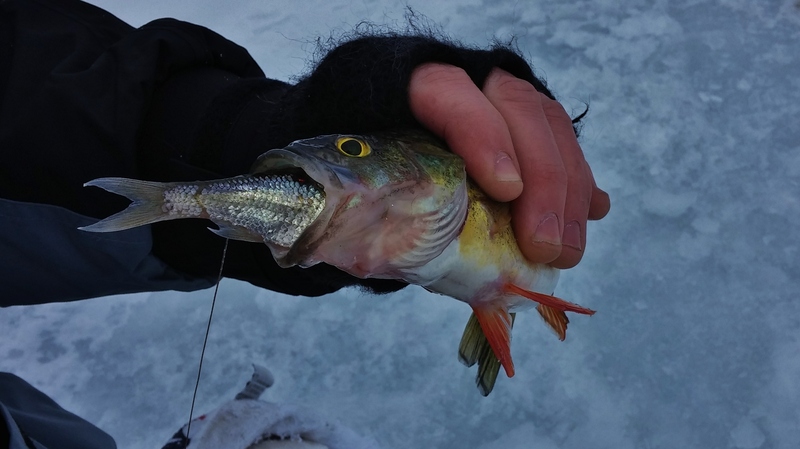 The fish weren’t committing and getting hook ups proved very difficult. As the water warmed the bites came more frequently and much harder. We found one sweet spot as the water temperature peaked. There was a warm pocket of water pushed up in a corner. It was 54 and we were sitting in 52. 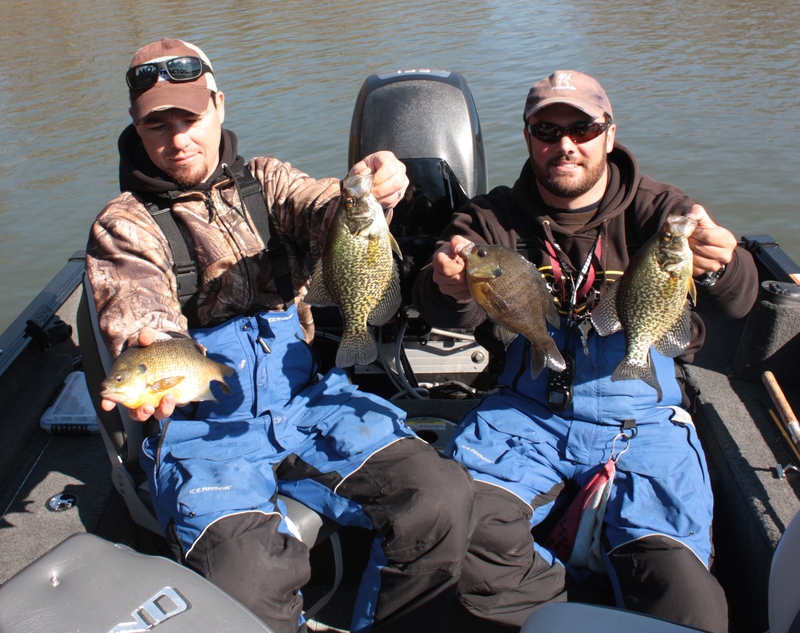 As we would work our baits from shore back towards the boat, we found that the crappie were stacked up on the edge of an isolated weed patch. They were hanging 2-3 feet down in 8 feet of water. This bite lasted for a while but we found that it was spotty. We were only able to catch a handful of fish at a time before they would stop biting. The best method we found was to back out after catching a few and then return after checking other spots then to get back in quietly. We could tell the fish were aggressive by the way that our bobbers went down. There was no slow and steady pull. Instead, it was a fast pull and run with no problems with hookups. The crappie bite only lasted for a little over an hour before shutting off. 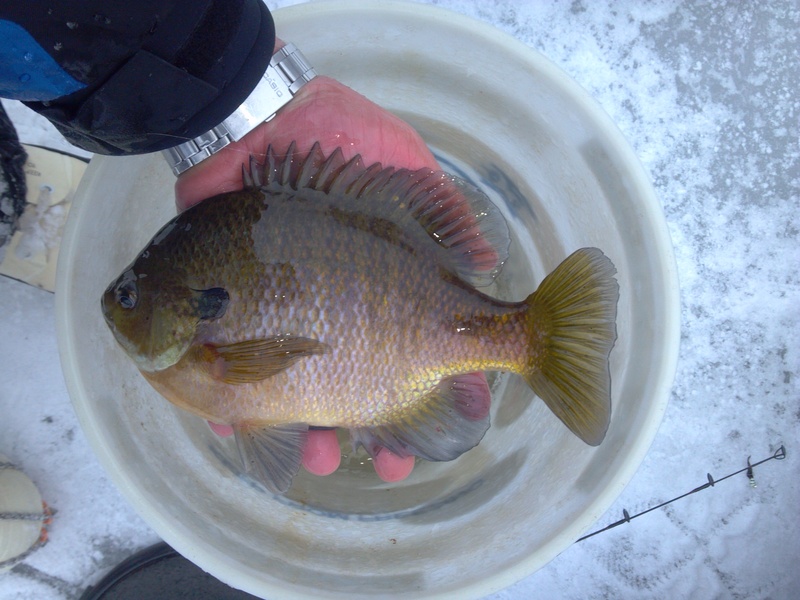 Fortunately for us, the bluegill finally had woken up and were active. For these, we set our bobbers a little higher and fished in shallower water, in the weeds, and closer to the bottom. Most bites came as soon as a cast hit the water but if not they wanted it moving slowly. We used three baits today. Because the water was cold, the fish were mostly inactive. We used our go to plastic the “Live” Baby Shad from Lake Fork Trophy Lures. This bait produced some slabs but also quite a few short strikes. 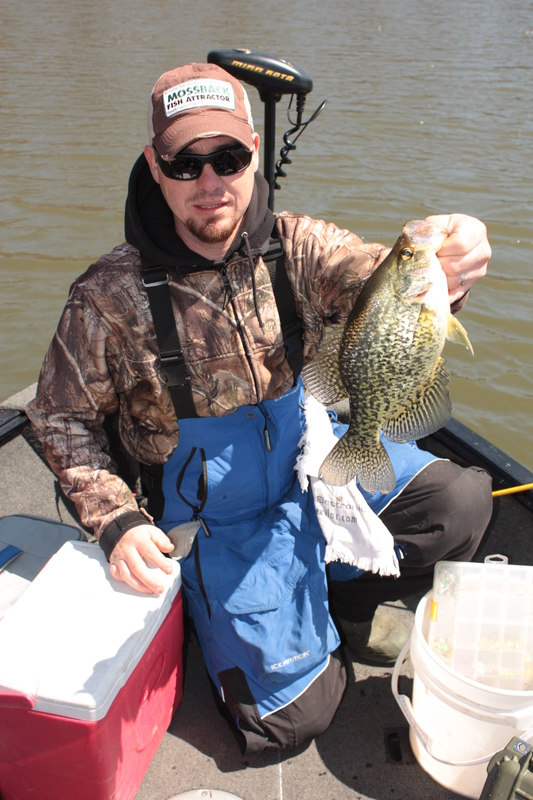 For crappie, the best bait was a 1″ Gulp! Minnow. 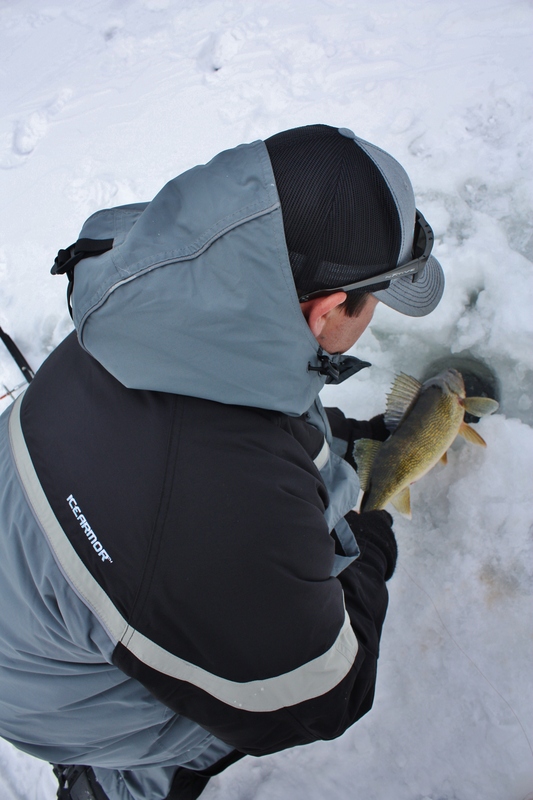 For bluegill, the top producing weight was the old faithful worm. Sometimes live bait just outproduces everything else! Growing up in the Northeast as a kid made you anticipate snow days during the winter months, there’s something about that unscheduled vacation that just makes everything OK. Well being a teacher now, I still experience that same feeling, especially when I haven’t had a lot of time lately to fish. I awoke this morning to find that most of our town was without power due to high winds and ice the night before. I received the call at 9am that school was without power so I grabbed my vex and ran for the truck, I was headed for the river. With only a limited time now to fish, and the best bite probably over I went to a reliable spot we have just to catch some fish. Upon arrival I was greeted by a few old timers that wanted to know “where have you been”. I told you, haven’t had a lot of time to fish lately. I made my way over to the inside turn that has been productive this year, cut a few lines of holes and started to make my way through them. Well, this reliable spot left me with no marks for over and hour. I finally got a mark and was surprised to see a nice jumbo come through the hole. It’s pretty each to identify these jumbos on the screen of my Vexilar since they typically move slow and you have to pound the mud in order to get them to bite. The jumbo was better than nothing so I cut a few more holes and tried to zero in on them. To make a long story short, the jumbo’s didn’t want to play. It was now nearing noon and the fish have become scare. I took a look around and decided to make a big move. This particular setback has two main channels, we usually focus on one but it was time for a change. I made the short walk out to the beginning of the other channel and noticed there were three holes already cut an nobody fishing them. 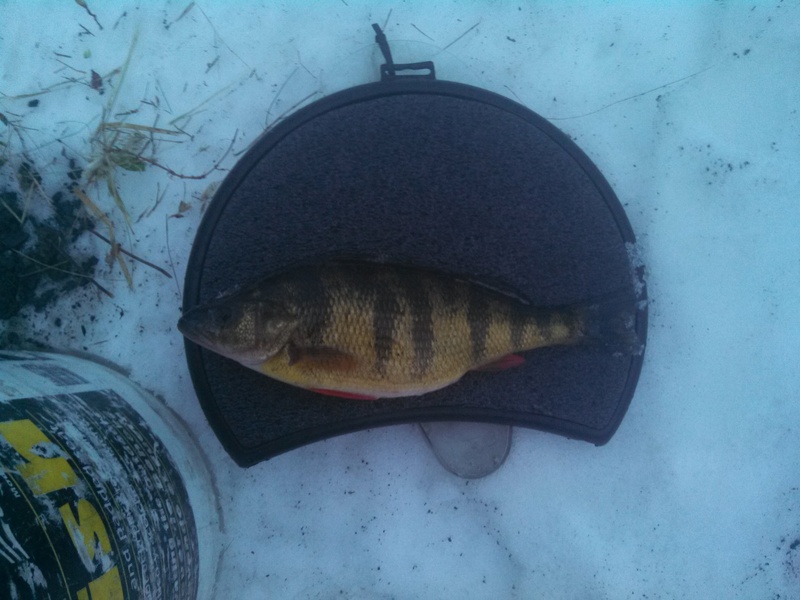 First drop in the new hole produced a nice 10″ crappie. Now we’re getting somewhere. Hoping it wasn’t a fluke I dropped back down, another crappie. I decided that I needed to open up a few more holes in either direction so that when the fish decided to move I could stay with them. When fishing the river I have noticed that the crappie, when active are usually in the top three feet of the water column, which was the case today. I spent the better part of the afternoon chasing the fish back and forth through the channel. The weather was warm, foggy and the rain was coming in. I quickly ran out of room. Luckily for me I was able to get the attention of the neighboring old timers fishing with tip ups. After a few short stories they gave me the go ahead to continue my line and follow the school though the string of tip ups. This hot bite gave me the chance to try out a new bait by Maki Plastics. 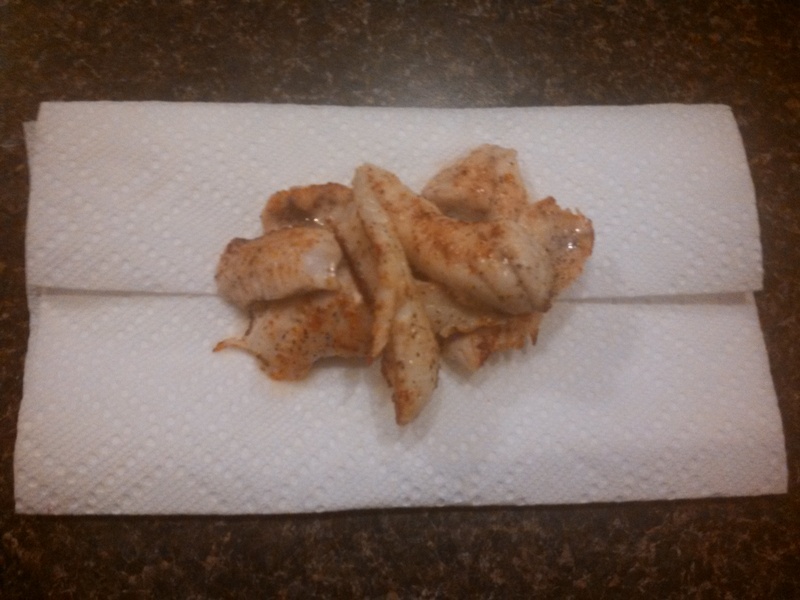 The crappie loved it, and it also seemed to be more selected towards that species. If you haven’t had a chance to fish with these baits you should! I ended the day a little earlier than expected, the rain has started and I had a decent drive home. 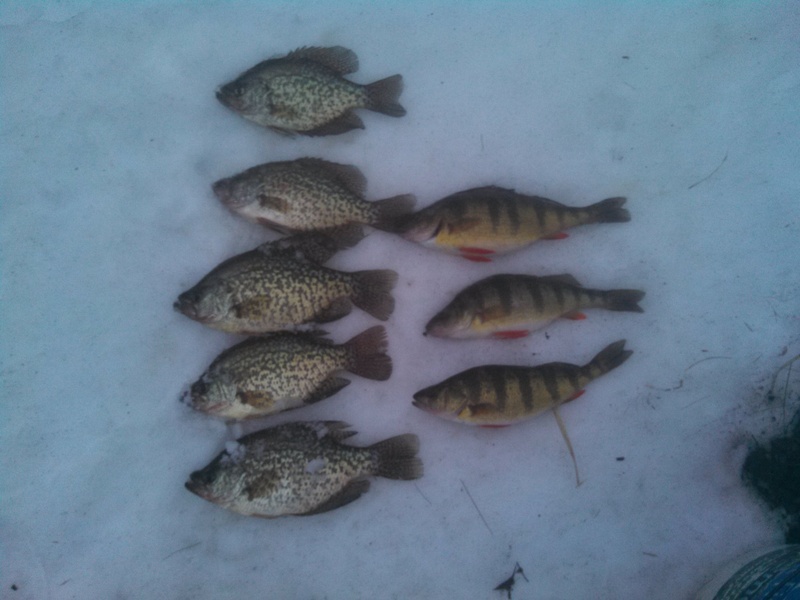 I was fortunate to ice 70-80 crappies which cured my withdrawal symptoms. With ice forming slowly in Vermont, it’s a risk going out alone. Luckily, we had a crew of four for this trip to a new body of water. Prepared with rope, picks, and floatation devices, we felt the odds were on our side. Knowing the general contour of the body of water, we started our search deep. 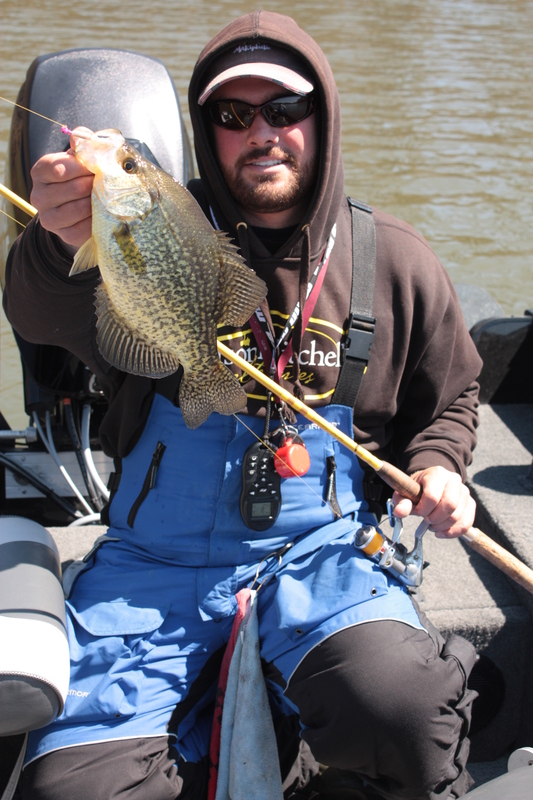 It didn’t take long to find some fish on the flasher that mimicked the pattern that a crappie will normally follow. They were suspending over deeper water and on the move. As we started fishing, the fish that we were pulling through the hole ran on average 8-9″. 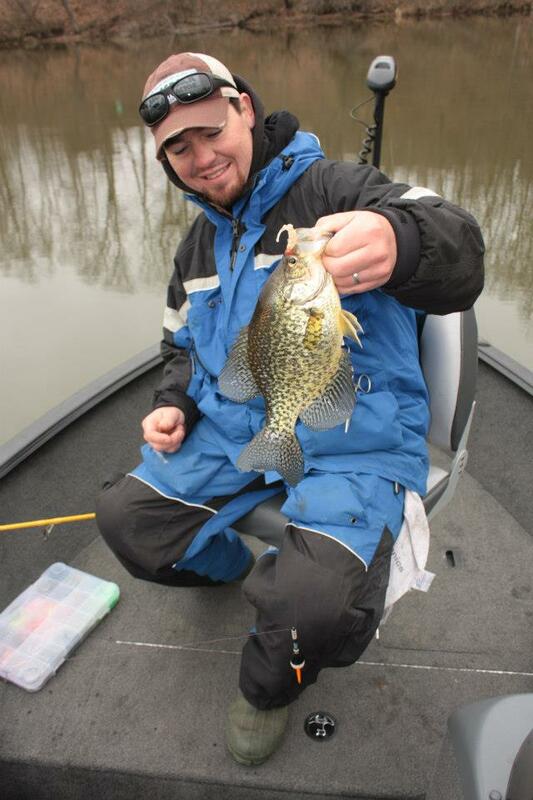 It was a pod of all crappie with a few shiners mixed in. We fished all plastics without ever putting a single maggot on for the day. The keys to catching fish were Maki Plastics and Micro Spoons and Jigs. We fished the Spiiki and Maki from Maki Plastics with red being the best color and the STB Grub by Micro Spoons in the Sunrise color. 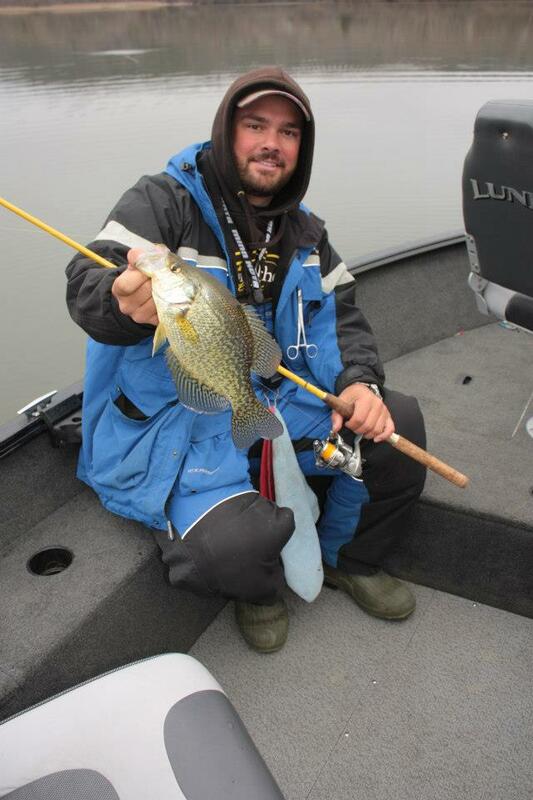 Seeing fish like this put a new spin on what we thought we had previously known about crappie in our area. Usually a fish after it’s first year will be about 6″. 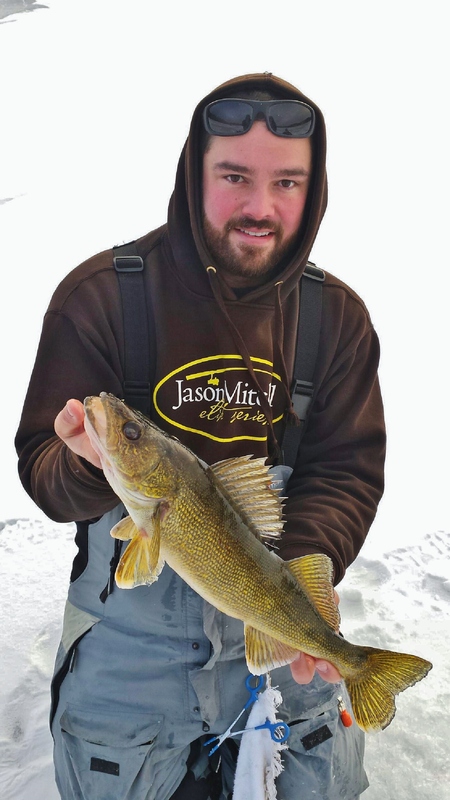 With the slow growth that comes in the winter, it is hard to imagine that these fish will put on another 2-3″ over the next few months when they will hit their one year mark in the spring. Maybe there was a late spawn or even a second spawn. The underwater world always keeps us guessing! 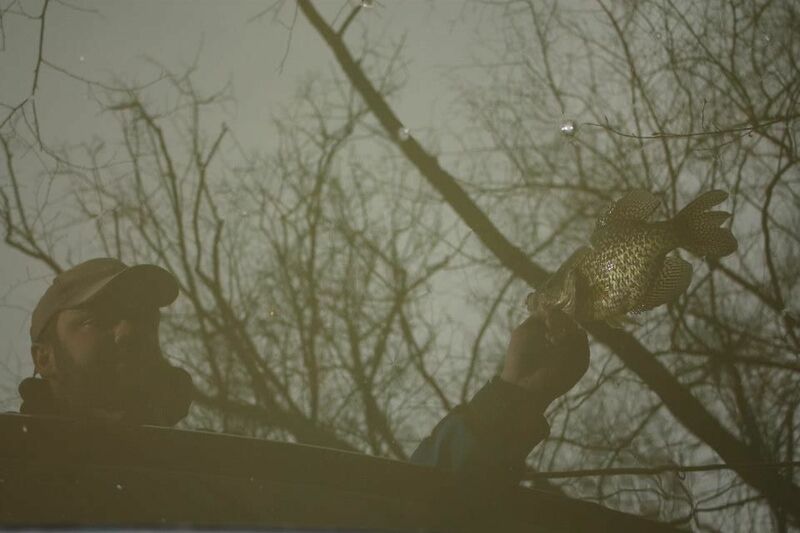 Check out some of our footage from our trip on our YouTube page in the Christmas Eve Crappie video!